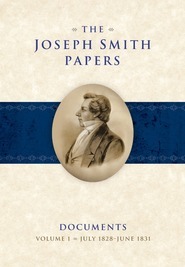 Designed for those who wish to carefully research the early text of the Book of Mormon and efforts to that book, the transcript in this volume reproduces the printer's manuscript exactly as it appears today. The transcript preserves corrections and revisions of any kind, line and page breaks, and even the locations of interlinear insertions. Since several scribes penned revisions in this manuscript, the handwriting of each is rendered in a different color to facilitate analysis. The photographs included here—the first complete photograph of the printer's manuscript ever published—allow comparison with the transcript and provide details that can never be fully captured in transcription. I bought this book set the day I discovered it from Deseret Book and they arrived before the week was over. As I will never possess the actual plates, this book is the gold standard Book of Mormon for our day. The Book of Mormon is printed in many languages; likely all English editions are available online. The Printer’s Manuscript was photographed in 1923 and is available online at the Joseph Smith Paper’s website. I don’t doubt that these things will always be preserved on the internet, but this is my copy, it requires no sophisticated equipment to show and tell. It is the closest thing to a personal set of the gold plates—In English! I have already bought Royal Skousen’s Yale Edition of the Book of Mormon, and his Original Manuscript and Printer’s Manuscript of the Book of Mormon which are part of the Book of Mormon Critical Text Project. When reading the handwritten text, it is interesting to compare it with features of your latest edition. Note the chaptalization contained in the manuscript, while punctuation would have been non-existent. The scale of the printer’s manuscript page of the Book of Mormon is about fifteen percent larger than the facsimile pages in this book. The average manuscript page is 7.875 x 12.75 inches (20 x 32 cm). I measured page 412, (the facsimile of 4 Nephi 1:26-40), to be 6.75 X 11.25 inches (17 x 28.5cm). For me, this book is special for what it is. It presents great photographs of the manuscript alongside a very good, readable transcript. It is also a special witness. The Book of Mormon purports to be a work of God. As such, it comes under the greatest (often superficial) scrutiny. Those who believe the world was created from nothing in seven days would expect the book to first arrive in its present edition at the snap of the Lord’s existent/nonexistent fingers with zero tolerance for transcription, punctuation, spelling, or localism errors thrown in. For those who believe that God cannot exist, they would expect this book to be an obvious fraud. In fact, it is neither. It is a complicated, fascinating mystery which describes Jesus Christ in the most simple, yet majestic manner; as he would appear in the flesh, warts, (wounds), and all.